Add oomph to your look with microblading, the best way to get desired shape of eyebrows. Also, called eyebrow embroidery, microblading allows you to mimic the hairs of your eyebrows. As the pigment is actually planted underneath your skin using a cutting-edge tool, microblading requires a high level of attention and adroitness. Get it at a professional women salon that has the right experience and expertise. 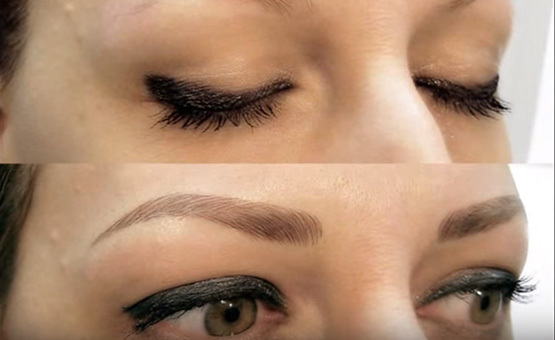 So when you are looking for eyebrow embroidery, Shobhana Beauty Studiois the right choice for you. It has a team of trained and experience professionals and the making women look beautiful is elixir of life for them. Helping women look beautiful is not their profession but the passion and so they love going any extend to enabling you to achieve the desired look. Note: The healing time may go from a week to two week. So do not worry if your eyebrows area is slightly red or inflamed.